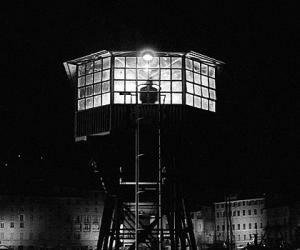 After the more complicated narratives of Satantango and Werckmeister Harmonies, Hungarian filmmaker Bela Tarr reduces down a Georges Simenon novel to a few elemental essentials the center of which deals with a railway worker in a musty and run down port town, who witnesses a murder while stationed on a tower and then stumbles into a stack of cash. 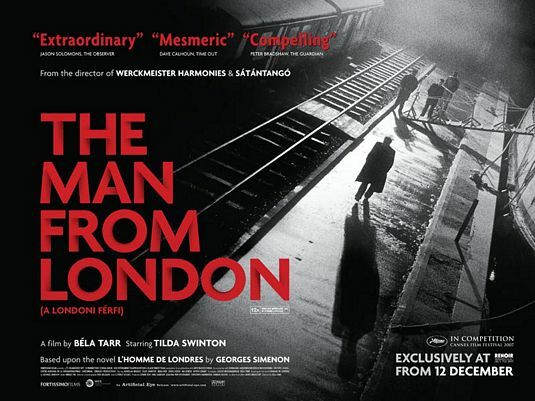 The Man from London is about staring, listening, and living with a guilt-ridden heart accompanied by a suggestive minimalist soundtrack and ravishing black-and-white cinematography. Tarr's superglacial camera movements and long-drawn-out shots generate a hypnotic sense of curiosity, giving us enough moments to think and always implying far more than they show. The Man from London is grave and intense, but not particularly involving, and its hard to evaluate the actors work because theyre given so little to say. Like all of Tarr's films, The Man from London is an auteurist creation par excellence, with Tarr in complete control of space, light, sound, and camera movement. But the sum of all turns out to be a test of viewers threshold of tolerance. The Man from London wished to explore some existential concerns other than offer a compact, emotionally capricious, and somber piece in which the aesthetics occupy center stage at the expense of substance.